Apologies, I included the photo of section E in error. It will be replaced as soon as I can get one of section F. Section F is the next section on the right along the central path. 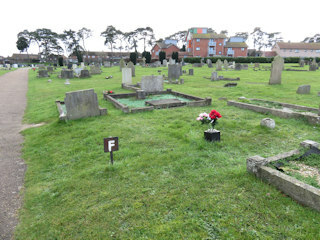 The GPR holds 173 grave and 278 person records for the cemetery.